Melatonin is recommended by homoeopathic experts as a safe, natural way to improve sleep, in other words, a sleeping aid. And in a lot of ways, that’s true, but there’s a whole lot more to understand about it before you or your child use it. 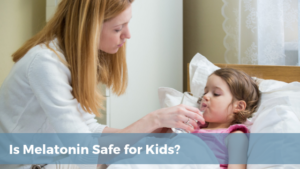 So is it safe or even beneficial for kids? We live in an interesting time where there is a dichotomy between natural health medicine and “Big Pharm”. Media has made the line between natural and pharmaceutical solutions distinct. You’re either are a naturalist or not. Does there have to be such a definitive distinction? I find home remedies fascinating and if you are like me, you grew up with your mom telling you about some of these natural cures. Try rubbing aspirin or vinegar on a bee sting! I haven’t examined if any of these are valid, but one of the biggest reasons that they are popular is that they’re believed to be natural, not lab-designed and you’re not adding another chemical into your body. We’re using something that’s readily available in nature. You know. Like aspirin. I am not antihomeopathy, nor am I anti-pharmaceutical. If probiotics or fermented food improve your gut health, go for it. If you have a heart condition, you should probably heed your doctor’s advice and take the appropriate medicine. My main advice, do your research. 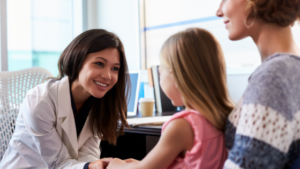 If you or more importantly your child is taking any form of medicine, natural or not, evaluate it for efficacy and side effects. This brings us back to melatonin – is it safe? Melatonin is a hormone that your body naturally secretes from the pineal gland. When it’s released, it helps your body and mind settle down and signals that it’s time to sleep. It’s your brain’s way of telling your body, it’s bedtime. Conversely, when it is time to wake up, our body secretes cortisol. Melatonin and cortisol work together to control our body’s clock, also known as circadian rhythms. Your body starts producing melatonin when it starts to get dark outside. Which works perfectly when we’re out of the city and camping under the starry night sky. But with the invention of the light bulb, the TV and the internet, our brains are continually being bombarded with artificial light. 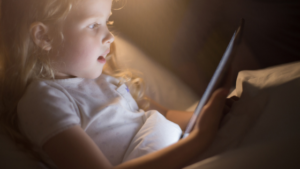 Our brains and our children’s brains have difficulty determining when night is starting. The flood of artificial light interferes with our melatonin production and messes up our internal clocks. A melatonin supplement can help reset our body clocks, but this is not my first recommendation. Instead, start by turning off your screens! Turn down the lights a couple of hours before bed and start letting your body reset it clock the “natural” way. Your children have this same natural mechanism to producing melatonin, except newborns. Babies don’t start producing melatonin until they’re about 2 months old. As you’ve probably experienced, newborns sleep schedules are variable, but at the 2 months mark, melatonin has kicked in and they’ve established the light-dark sleep cycle. 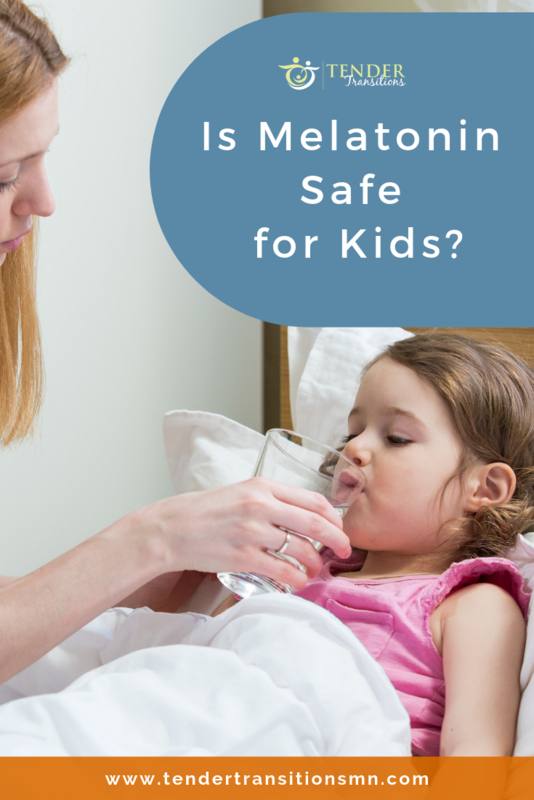 Will giving my child melatonin help them sleep through the night? It might help them GET to sleep at night, but it will not help them stay asleep. Recent studies comparing melatonin to a placebo pill show that melatonin doesn’t increase or benefit long-term sleep. But my main argument for not using melatonin is that it prevents you from teaching your child beneficial sleeping skills. To be great sleepers, it is essential that our children learn to master falling asleep and staying asleep on their own. Children need a lot of sleep. It’s important for their growth and development and their body is designed to ensure that they get this sleep. Sometimes they just need a little guidance and support to develop healthy sleeping skills. Once sleeping skills are developed, sleep will come easily and naturally for your child. 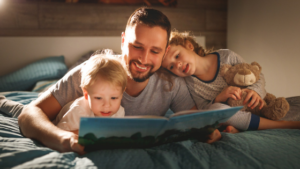 So before you head to the health foods store, try creating a consistent bedtime routine, turning off the screens and encouraging your child to fall asleep in their own bed. These skills will last a lifetime. Need help establishing a predictable, consistent bedtime structure? Don’t know how to teach sleeping skills to your child? Tender Transitions offers various sleep coach packages. Schedule a free 20 min call with us.